Most of the people find computer programming as boring, while for some of them enjoy doing it. A typical programmer needs to keep himself updated with the latest trends upcoming in the programming world. 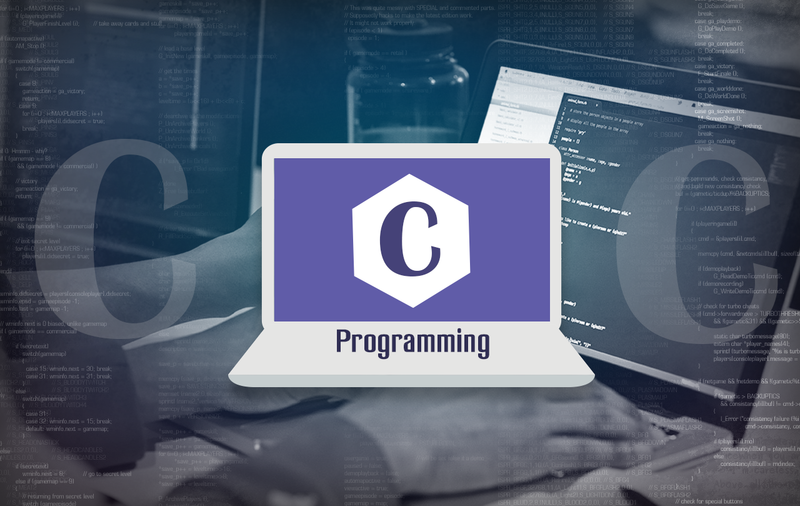 Nearly all programmers start their programming with C, as it is most used programming language for writing apps and operating systems. C is amongst the best and oldest programming languages till date. The first major operating system written in C was UNIX and later Windows, Mac OS X and Linux have been developed with C. Not only operating systems but programming languages like Python, Pearl and PHP are derived from C. If you are a typical C programmer you can definitely earn $93,000 per year as per current salary trends in IT world. So you can imagine that if you want to be a hard-core web programmer you must know C and the knowledge of C can help you get into app as well as web development. If you want to learn C programming, I have collected a huge lists of pdf’s, video tutorials, websites and forums for you. You can spend few bucks and buy a book written by professionals in C language, but this article focuses on free tutorials and resources you can use to learn C programming and that too without spending a single penny. 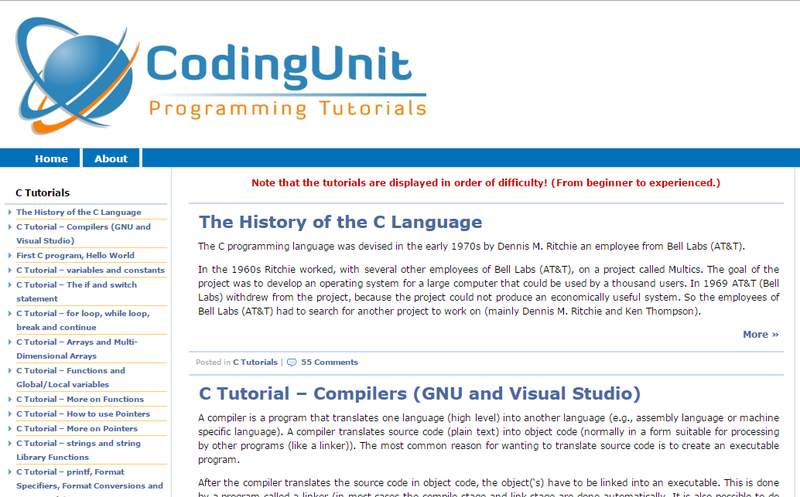 If you want to start learning C, it is way important to get started with text tutorials. The below list of tutorials which I have provided will cover the basic concepts of C language and will also help you to develop some complex programs in C.
This website contains bunch of tutorials on different programming languages. 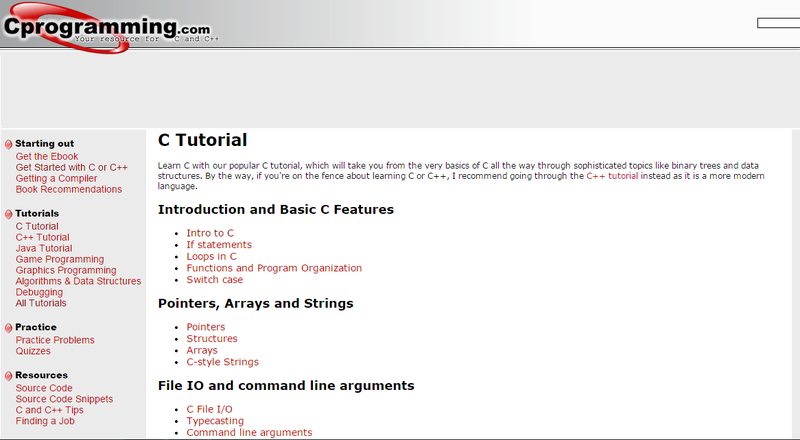 This tutorial is created for software programmers with a need to understand the C programming language from scratch. It will give you thorough understanding on C programming language from where you can take yourself to higher level of advanced programming. 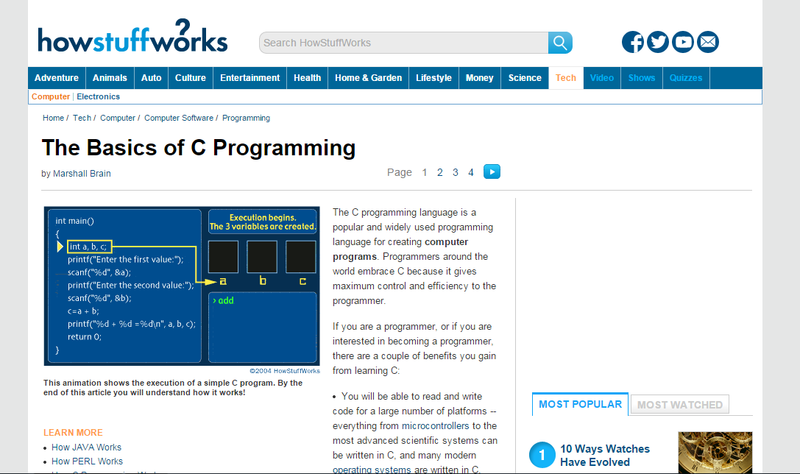 In this tutorial from howstuffworks, you will walk through the entire language and will also get to know, how to become a C programmer. You will be amazed at all of the different things you can build, once you know C. You just have to keep reading the tutorials at your own pace to learn C.
This website is dedicated to different topics of programming like C, C++, and PHP. In this website you can find tutorials which will cover C concepts from A to Z. Also if you have any good tutorials written by you, it can also get featured on this website. You just have to contact the team to share your knowledge. If you are an experienced programmer or not, learn-C is intended for everyone who wishes to learn the C programming language. One unique feature you can find in this website is that output screen, if you want to test your program you can directly watch output in front of you. Also if you wish to contribute tutorials, you can send them. 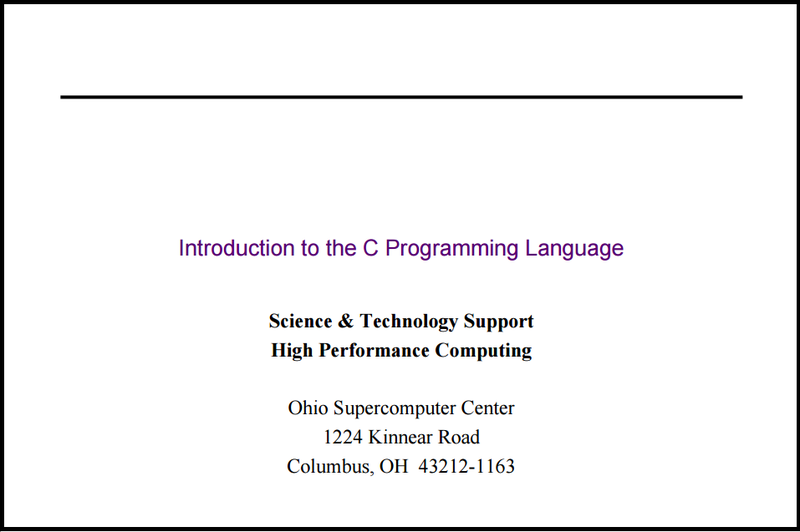 Pdf’s will help you learn C right from the beginning section. You can learn easily by carrying these pdfs anywhere in your smartphones or laptops. You can directly download these pdfs from links given in their title respectively. 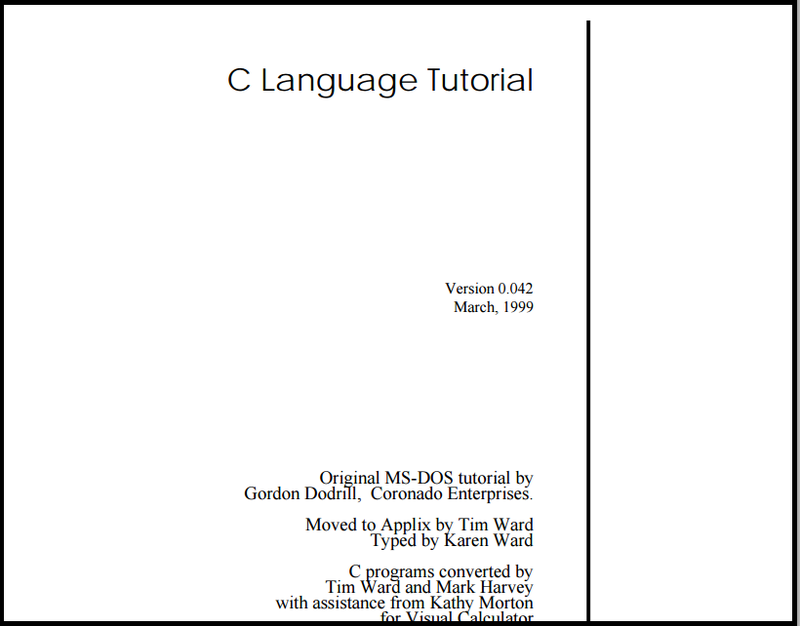 This pdf by Mark Burgess aims to teach C to a beginner, with enough of the details to understand this language. It assumes that you have some previous know how with programming, but you do not need much experience. There is no need to follow the order of the chapter’s sequentially, but if you are a beginner to C it is recommended. This tutorial from ntnu is a simple text tutorial, which is designed to be interactive. You can compile, modify and use the programs that are presented in this tutorial just by understanding the concepts. 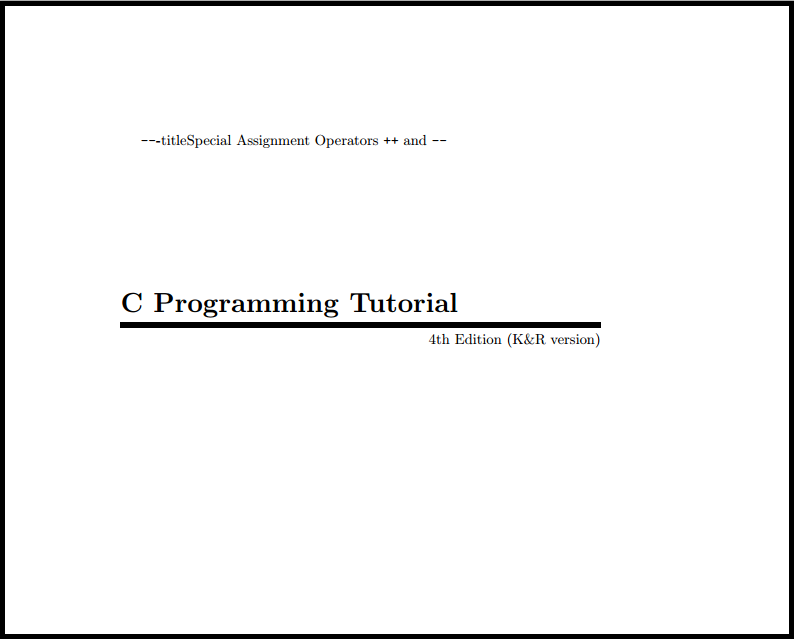 About 124 pages of this pdf you can clear all your basic concepts regarding C programming. This is a simple guide on C programming which is designed beautifully to understand the concepts of C programming. 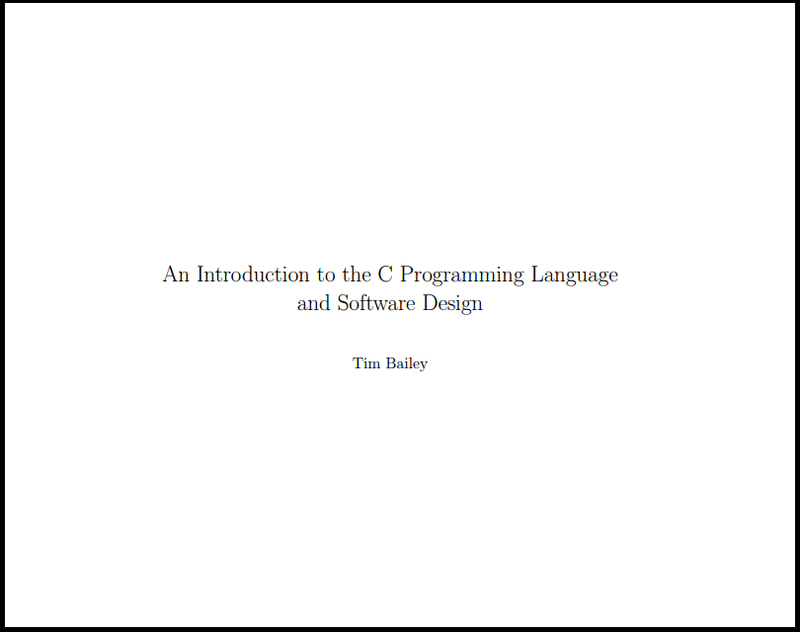 If you know nothing about C programming, this pdf is great place to start upon. This pdf works as a set of lecture notes for a first-year undergraduate software engineer’s. The aim of this textbook is to cover topics on the C programming language and introductory software design in sequence. With about 20 lectures, the material in Chapters 2, 7, 8, 11, and 13 are well served for beginners as well as for developers. Software design is most important aspect of this book when compared to other introductory pdf tutorials. 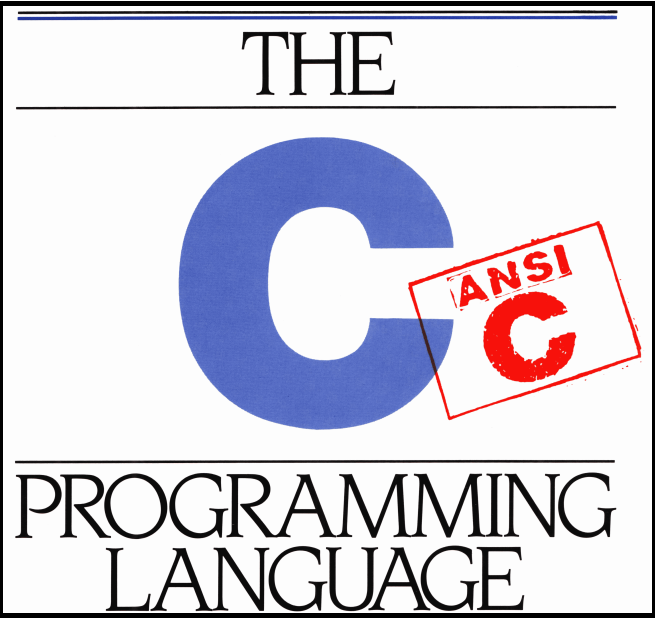 This 2nd edition of C programming language explains C as it is defined in ANSI standard. You will get improved and original examples in this guide to follow upon. This book deals with understanding of all aspects of programing to the programmers. Video tutorials are created to help beginners learn C by looking at the basic concepts and setups. Watching what is happening live in front you helps you to grasp and learn concepts quickly. Some of the best resources for video tutorials I have listed below with help of which you can learn C programming easily at your own pace. Here you will get video tutorials ranging from basics to advanced C programming. You have to select sections according to your choice which will have lessons arranged in each sections. So just click, watch and learn. 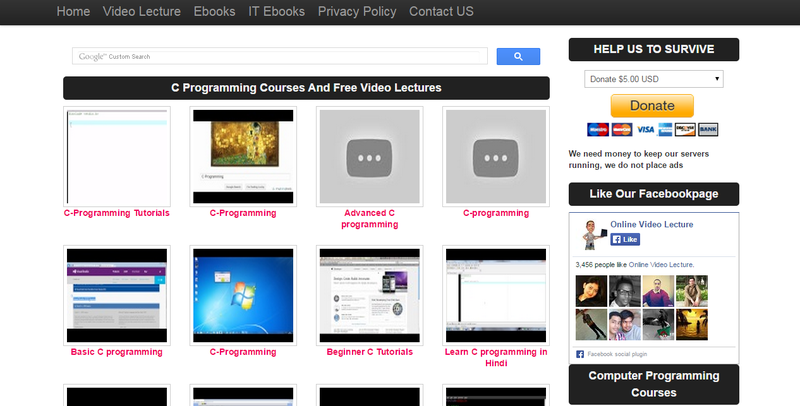 With 32 lectures of programming, you can learn this programming for free on free video lectures. You can also download these lectures to your hard drive and learn offline as suitable to you. 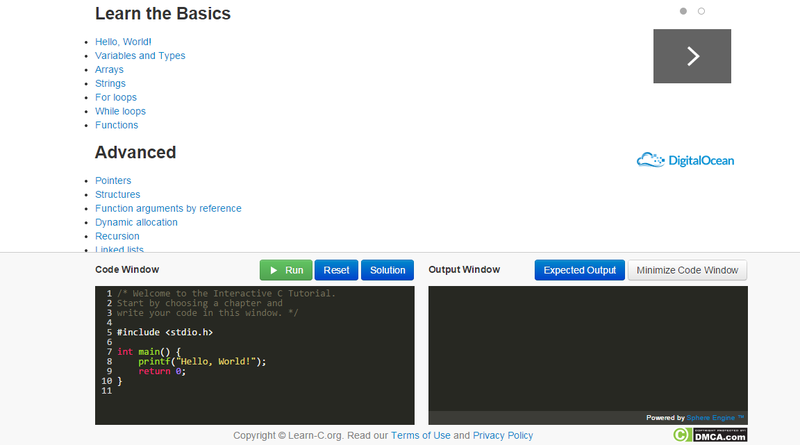 Another great platform to learn C programming online. This website has about 26 videos to learn basic C programming. Once you enter this website you will be taken on a great adventure with Kevin and Bryan as you go from ground to ceiling through the C language. 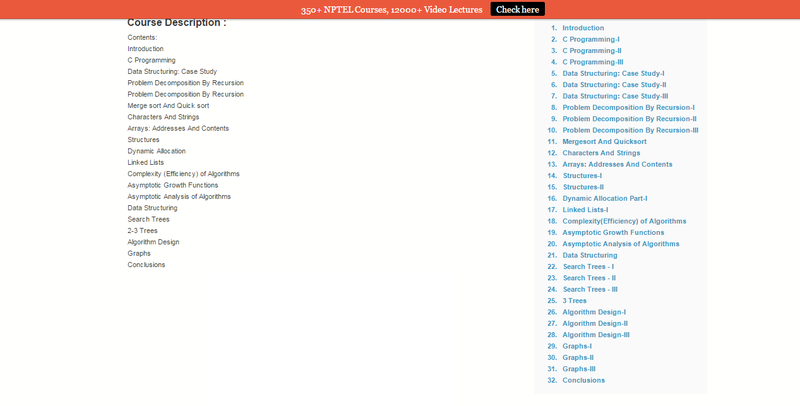 This course form newboston has 57 videos which you can see on left hand side your screen once you visit this website. So enjoy learning these videos at your own pace. With over 14 lectures and 1 hour of content you can master coding via C from this course on Udemy. I have searched for all C courses on Udemy but found out this free course for you. You can also get certificate of completion once you have learnt all chapters from this course. Forums are excellent place to start and advance yourself in C programming. Below I have listed some good forums related to C programming where you can start with basics to advanced programming by clearing your queries with help of community members in the forums. In this website you will find a list of discussions in the C Programming at the C Board. This forum has Questions specific to C Programming with active users browsing this forums to help you solve your queries. With about 1 lakh posts, 16 thousand topics on C programming this website is purely dedicated to C programming discussion’s with their community. This C programming forum from Devshed discusses all C derivatives, including C#, C++, Object-C, and even plain old vanilla C.
If you are a programmer of any field the ever best web forum you will find on web is Stackoverflow. This website is amongst most engaged website on the web. Regarding C programming, you can find question answers, discussions, get solved your queries quickly with lot of programmer friends to help you. Dreamincode forum is for C and C++ programmers and professionals to discuss advanced and non-help related C and C++ topics. In my last post of “Top 8 programming language to learn in 2015” you won’t find C programming listed in it. But the first programming language ‘Python’ you find in that post requires C programming to be known as a basic. And not only Python but PHP, C++, Objective-C which are amongst top languages to be learnt this year can’t be learnt without C.
Thanks a lot for drafting this awesome list of Website. It will save lots of our time to search across multiple website to get quality content.